The Xperia Z is Sony's finest smartphone to date, combining a stunning 5-inch display running at the full HD 1080p resolution with an impossibly slimline and stylish case. A case that also manages to be water resistant. It does everything and, being plumbed into Google's well stocked app store means that should you find a hole in its armour and something it can't do, a suitable app should be downloadable to plug the feature gap within seconds. Given the hardware Sony's stuffed into the Xperia Z, you're spoilt for choice when it comes to augmenting its pre-loaded app selection. The front-facing camera opens up video chat possibilities, while its NFC chip means you're able to enjoy making wireless payments via the many separate providers currently trying to raise the profile of NFC, and also use Google's Android Beam touch-to-share system to ping files to friends. Then, when you're done playing with the toys Sony's pre-loaded, get these on there for even more mobile empowerment. One of the cool things about the Xperia Z is the way it's been PlayStation Certified by its Sony bosses, meaning the phone comes with official access to Sony's standalone PlayStation Mobile gaming store. While this isn't as well stocked as the official Google Play app store when it comes to gaming options, there are some good reasons to bother firing it up, with a handful of great exclusive titles available -- including all-time legend puzzle game Lemmings. It's also free to download and play, with a small fee to unlock the harder levels if you really get into it. The Xperia Z comes with a second front-facing camera that records video at 2-Megapixel resolution, making it ideal for people who are comfortable enough with how their face looks to engage in video chatting. And when it comes to unifying faces from around the world via the digital waves, Skype's the winner by a mile. If you want to make voice calls to external landlines it'll cost you, but installing it and using it as a text and video chat system's completely free. It's cross platform too, meaning you can socialise with iPhone owners, if you haven't fallen out with them all over phone arguments. 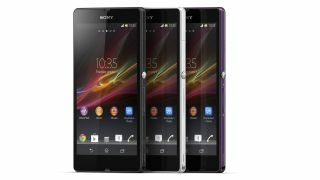 Sony's newest Xperia models comes with support for its own little software it calls Small Apps. These exclusive little gadgets allow Sony and other developers to add extra functionality to the phone via tiny overlays that appear inside the phone's multitasking menu, giving users a quick and easy way to access floating additional apps and tools. This one's amazingly simple, adding a toggle to stop the display rotating -- ideal if you're lounging about watching films and don't want to worry about the display reorientating itself whenever you change position. The Xperia Z and its 1080p display are ideal for hiding in bed all day and watching daytime TV, so get yourself the BBC's impressive iPlayer app on there as soon as possible. The only feature it doesn't have is the ability to download programmes to the phone for offline watching, which has led to some aggressive complaints and poor reviews, but apart from that you get everything. Live channels, catch-up of recent content, radio and more, all presented in a very nicely designed app. And it's free from reliance on Adobe's deceased Flash Player now too, so works without fuss thanks to the BBC's own standalone media plugin. For the parts of the TV spectrum not covered by the iPlayer, there's TVCatchup. This clever tool is basically a sort of live relay that encodes Freeview terrestrial telly into a mobile-friendly feed, letting you watch live TV on your phone through a mobile data or Wi-Fi connection.